Metallic materials exhibit properties that, besides the chemical composition, strongly depend on their microstructure; controlling their elaboration process and understanding how the microstructure will evolve, i.e. how the material will behave, are therefore of prior importance. An innovative strategy to work out texture-free large-volume bulk forms with controlled microstructures (from mono- to multimodal) for structural applications has been developed. Aside from the fundamental understanding purposes, the methodology helps level off the mechanical properties, and potentially other physical properties, by fine-tuning the microstructure. 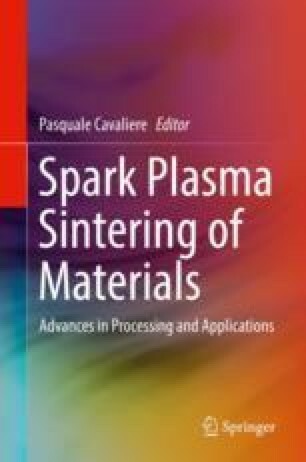 Within the bottom-up approach, it translates into the powder metallurgy route and relates more especially to spark plasma sintering as a highly suitable technique for implementing, in terms of process control, the increasingly complex structures that are being sought, in terms of material design, for optimal performances in relation with each foreseen application. In the framework of this chapter, the methodology is presented for the case of polycrystalline nickel, in relation to tensile-ductility enhancement, and refers mostly to the works performed in our research group over the past decade. At a later stage, the developed methodology is expected to open on many other innovative microstructures and corollary new physical and mechanical properties. Amongst the too numerous collaborators for them all to be named here, the authors willingly extract the names of Drs Q.H. Bui, L. Farbaniec, and G.D. Dutel. They are also grateful for the support provided by the French research funding agency ANR through grant ANR-09-BLAN-0010.